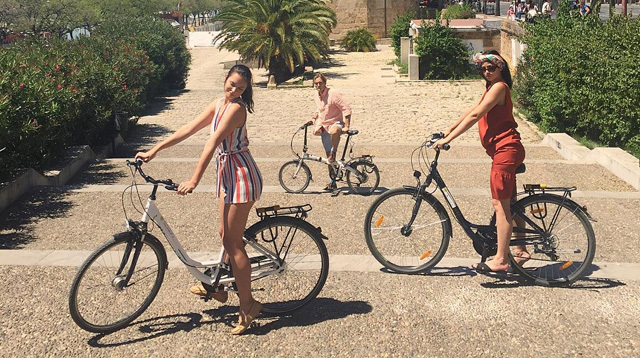 Georgina Wilson's Siblings Crashed Her Honeymoon! Who says a honeymoon is just for two? Georgina Wilson married Arthur Burnand in one of the most stunning destination weddings we’ve ever seen (Trust us, we religiously follow celeb weddings). After getting hitched in Winchester, England on April 30, George and Arthur went on to enjoy wedded bliss by venturing off to Spain for their honeymoon. Their honeymoon, however, had two more people in tow–George’s younger siblings Jess and Sam Wilson! Awww! TOO CUTE. Jess and Sam soaking up the Seville sun. Biking around with new bro Arthur! Backseat roadtripping for these two!